I recently went on holiday in North Wales, staying in a small resort called Dinas Dinlle, about 5 miles south of Caernarfon and near Caernarfon airport. On our regular trips out I stumbled (honestly, although my wife is sceptical) upon three football grounds. 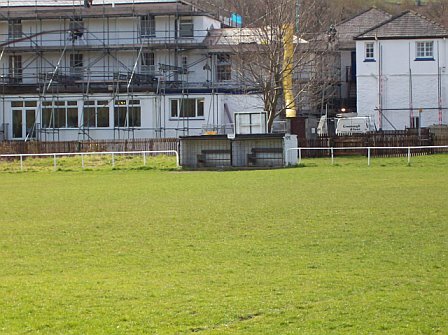 As they all had the perimeter bar, dug outs and some builing or other acting as a changing room/clubhouse I figured they must be grounds of Welsh League clubs. Which league, at the time, I did not know. I do now. 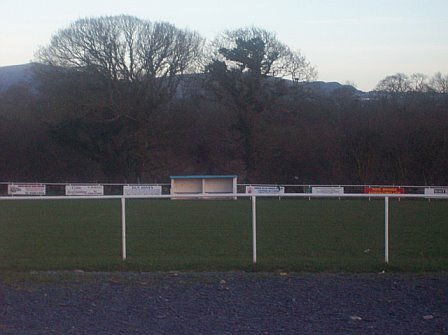 These first three pics are of Llanberis FC, who play in the Pentraeth Honda Welsh Alliance. 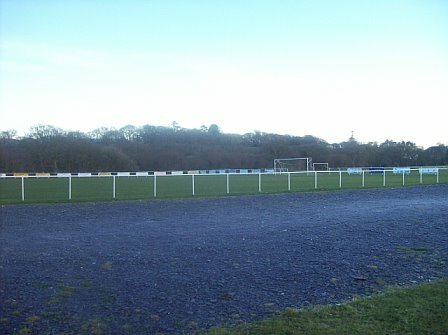 This league is at step 3 in Wales and feeds into the Cymru Alliance, which is one of two ‘second’ divisions to the main League of Wales. (I have a page on the Welsh Pyramid, it is correct apart from the Sponsor names). Llanberis couldn’t be a more picturesque place hemmed in by Snowdonia and it is the home of the rack and pinion railway that takes you to the top of Snowdon, the Welsh Slate Museum and an experience called Thunder Mountain, taking you deep into the mountain where they excavate slate. The ground is just off the main street, obscured effectively (almost, I have keen eyesight) from view by evergreen shrubs. 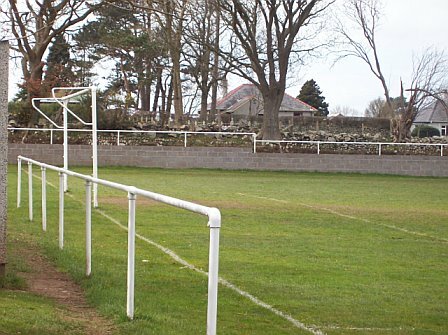 The ground was bereft of any stands or terraces, but being Welsh division 3 effectively, can probably do without. I am guessing that crowds are sometimes single figures. 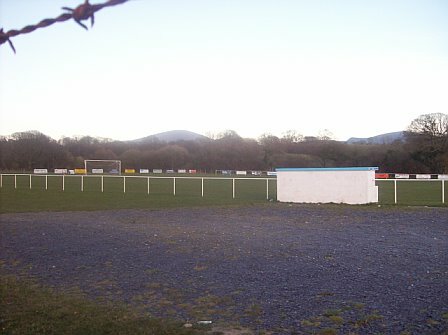 The next three pics are of a team called Llanrug FC, who play in the same league, and are also mid-table this season. 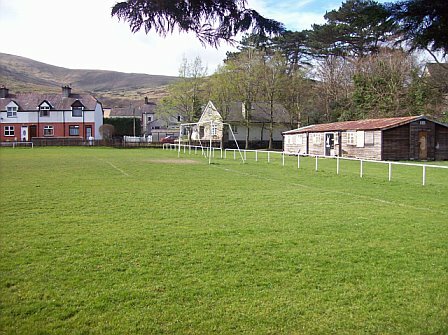 Llanrug is a tiny place just up the road from Llanberis on the A4086, just south of Caernarfon. The ground is just off the main road on the edge of the village. Now, whereas I’m fairly certain that the first two grounds belong to the aforementioned clubs, I’m not so sure about the third. I’m guessing it’s Bontnewydd, as the ground lies just beyond the welcome sign to the village, but I may be wrong. 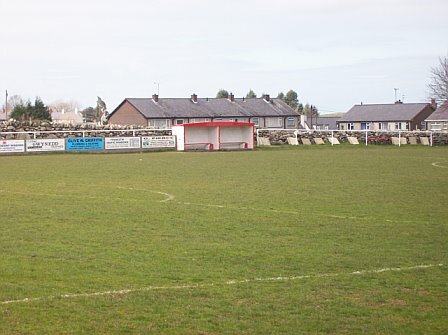 Bontnewydd play in an even lower league – the Silver Star Gwynedd League. One of their opponents is Bangor University. The ground is further north of Llanrug by a few miles, on the same A4086 just outside Caernarfon. 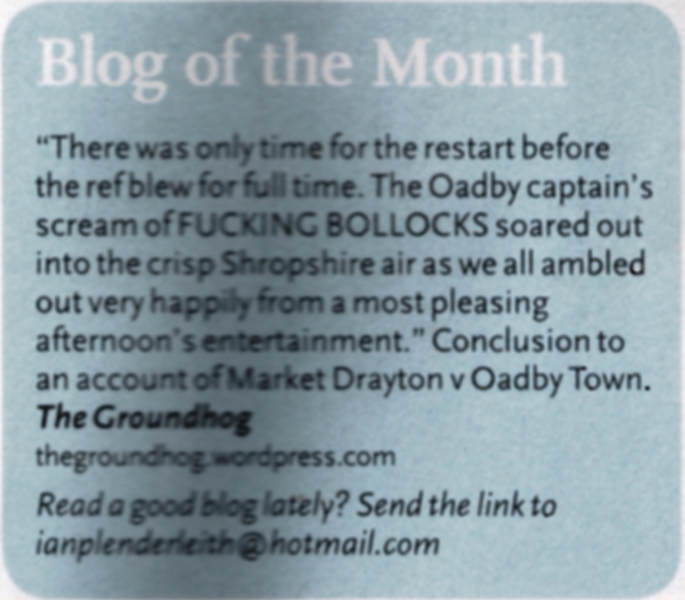 This entry was posted in Non-League. Bookmark the permalink. 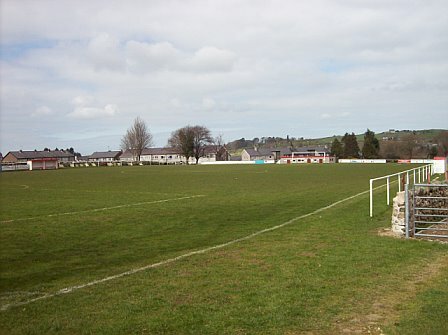 Yeah, the third ground is that of Bontnewydd FC. Thankyou very much for the confirmation. I can only assume you live nearby? If not you are truly a football grounds genius! Not so much a football genius I’m afraid! Just happen to live a few miles down the road and had been curious as to who played there myself! Thanks for your offer! I’ll take you up on that. We go to Wales most years so next time I’m in the area I’ll email you. Cheers! I believe you have been to watch Holywell Town a few years back. Since then, we have dropped down to the Welsh Alliance. 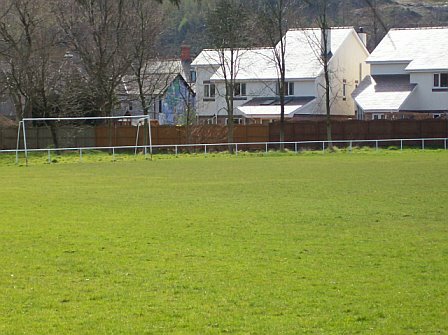 Next time you are planning a trip to North Wales, i would like if you considered calling at our ground. It has changed since the last time you were there and Im sure you will enjoy your day in Holywell.